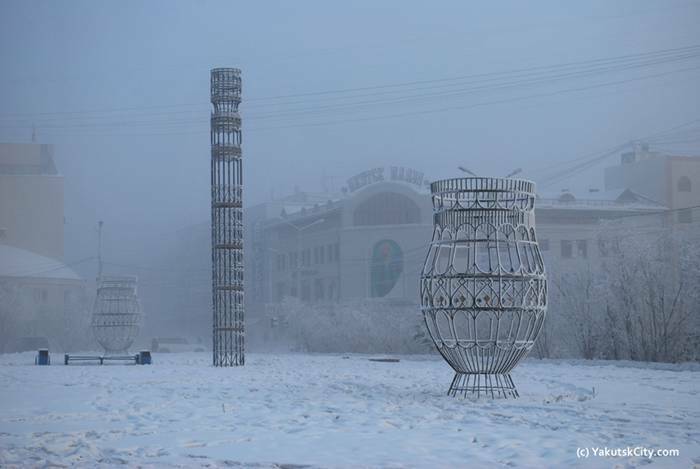 Yakutsk, a remote city in Eastern Siberia along the Lena River, is the coldest city in the world. 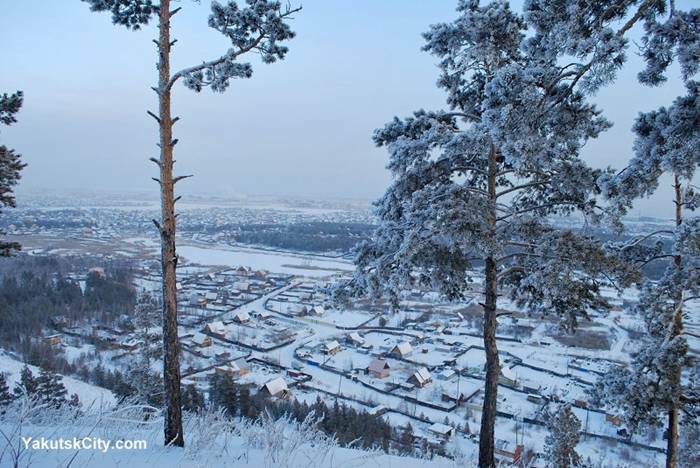 Located 1840 km away from Irkoustk and 5000 km away from Moscow, this city founded in 1632 by the Cossacks imposes upon its inhabitants an extreme way of life. 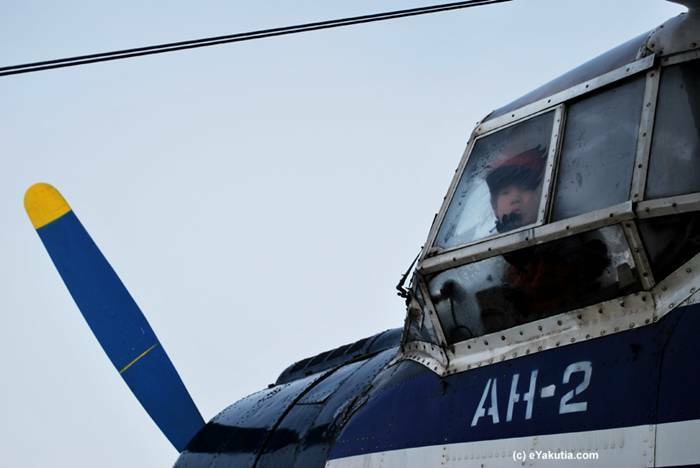 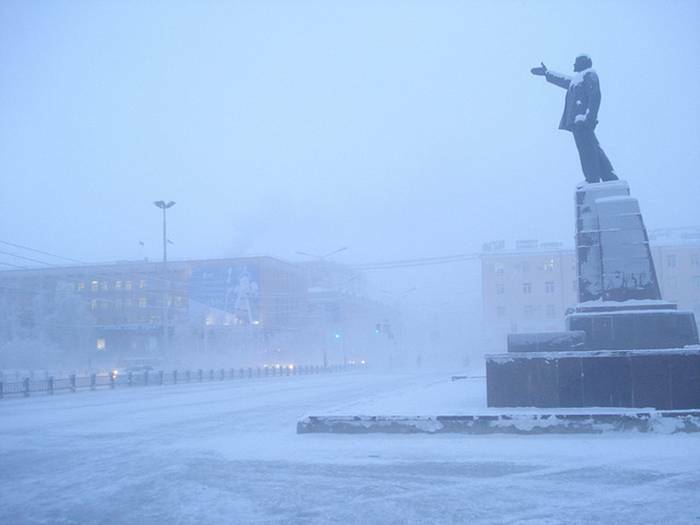 And yet, despite particularly harsh conditions, Yakutsk boasts a population of 270,000, or a quarter of the entire population of Siberia. 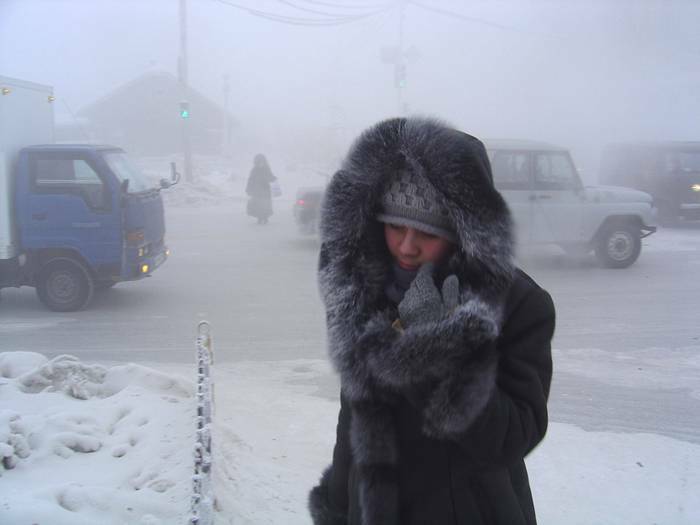 No other place on the planet experiences the temperature extreme found here: in winter, the temperatures regularly fall to minus 40° (the coldest temperature recorded was –64°C) and in summer often reaches temperatures above 30°C. 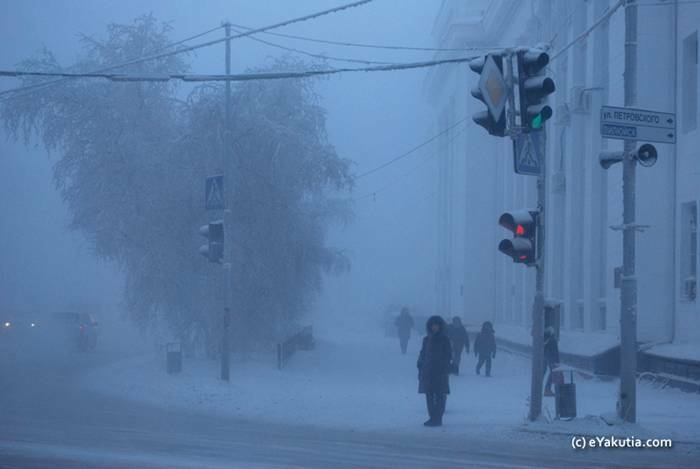 Photos: January 2013. 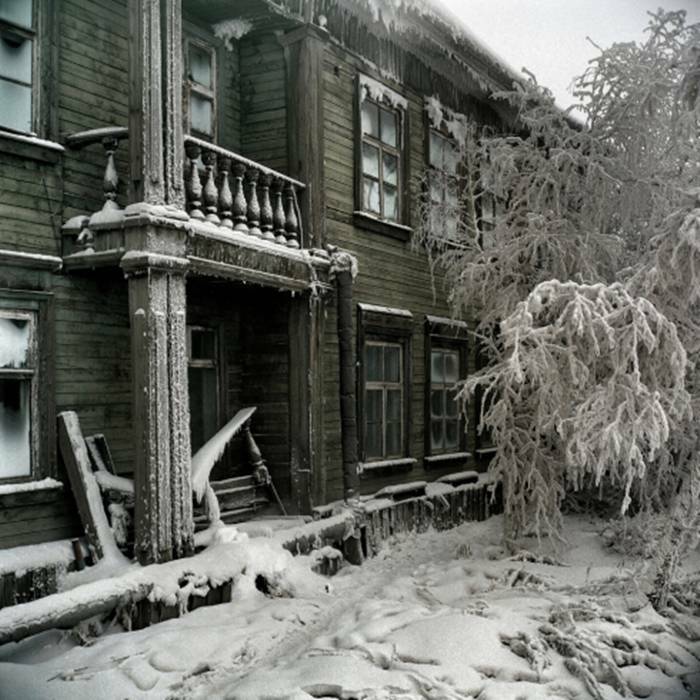 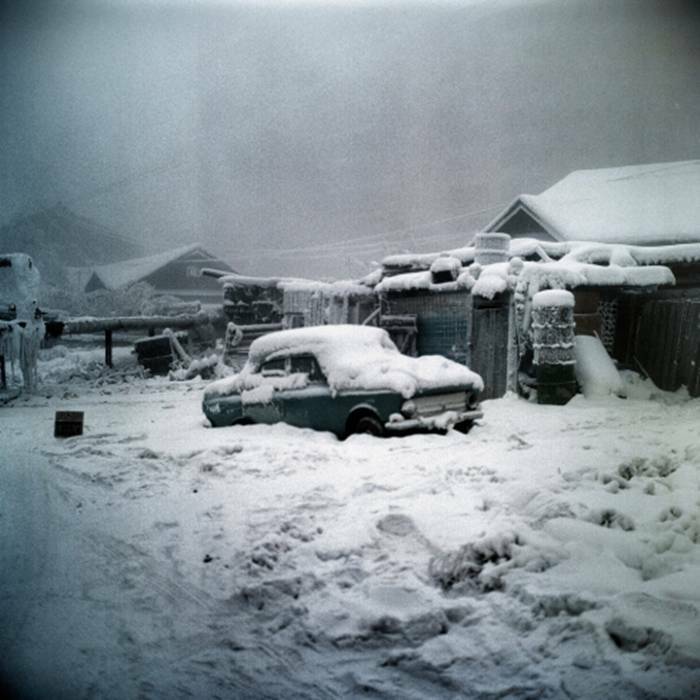 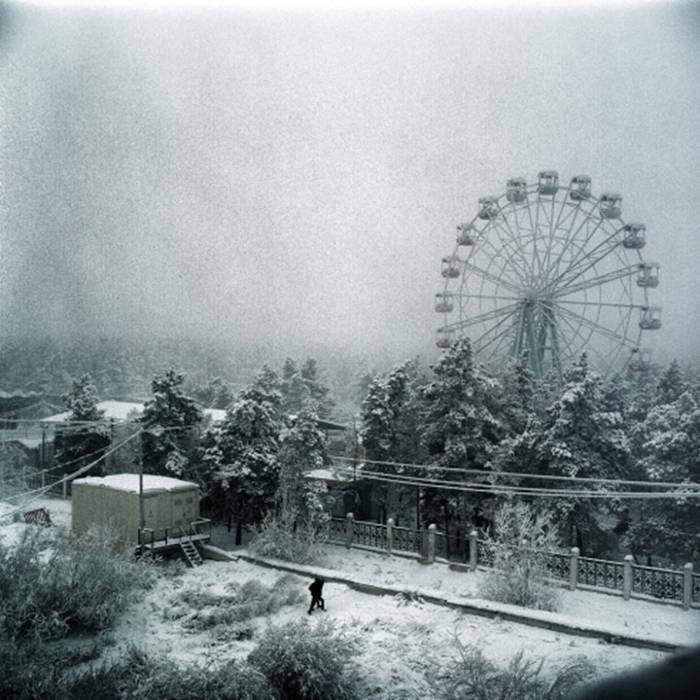 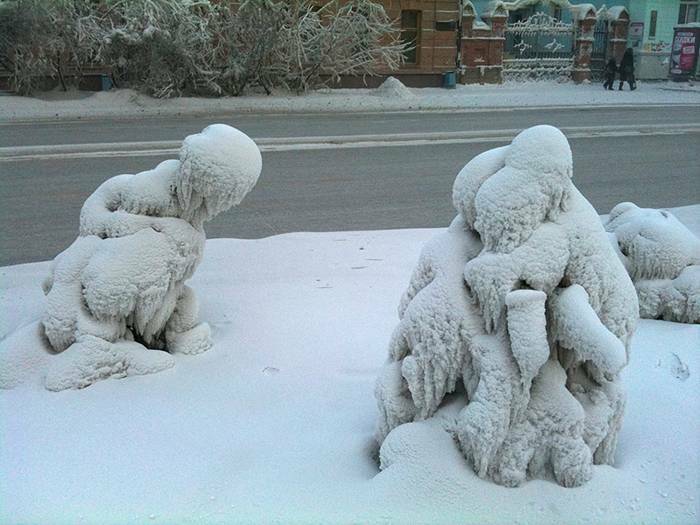 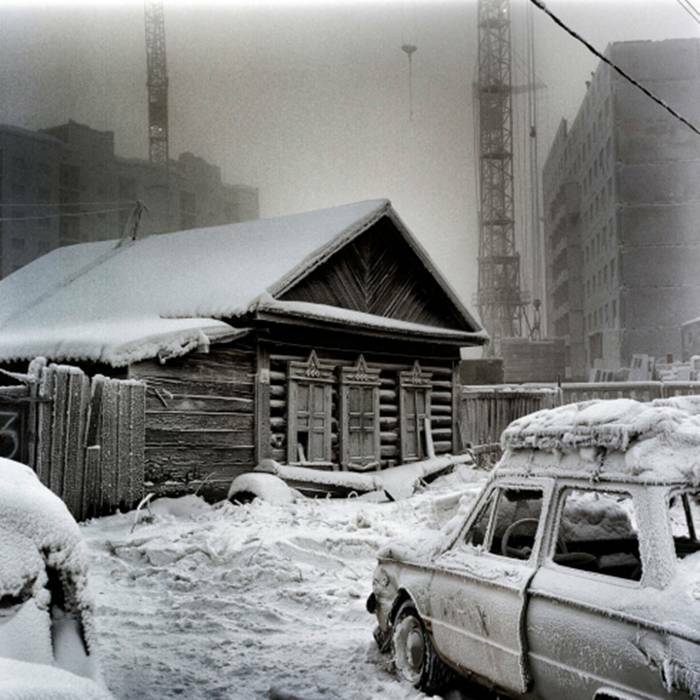 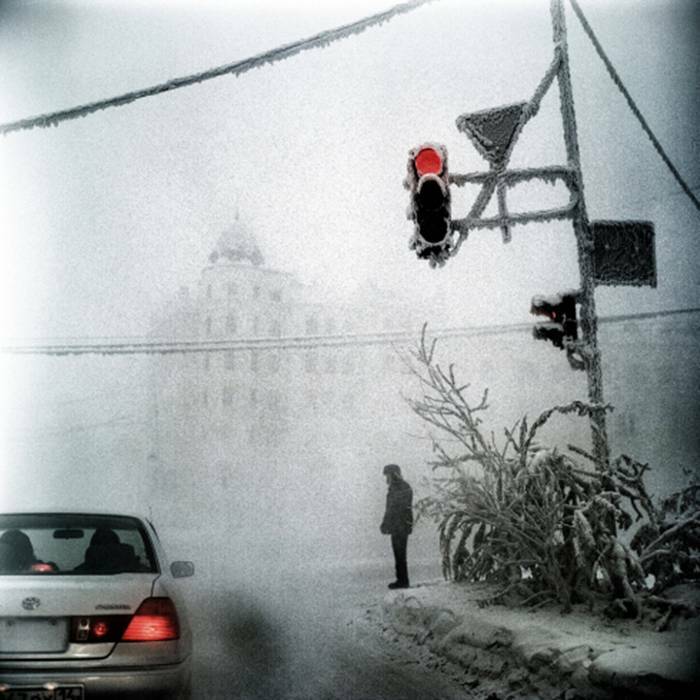 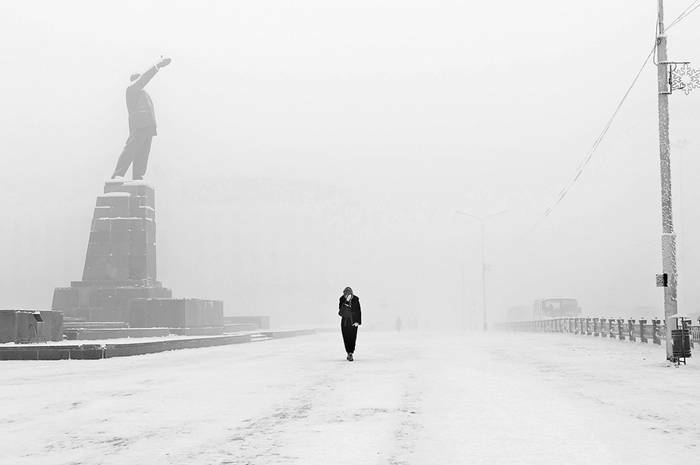 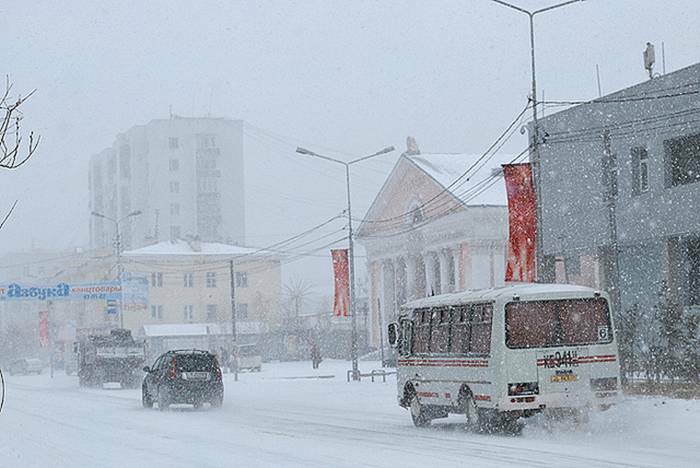 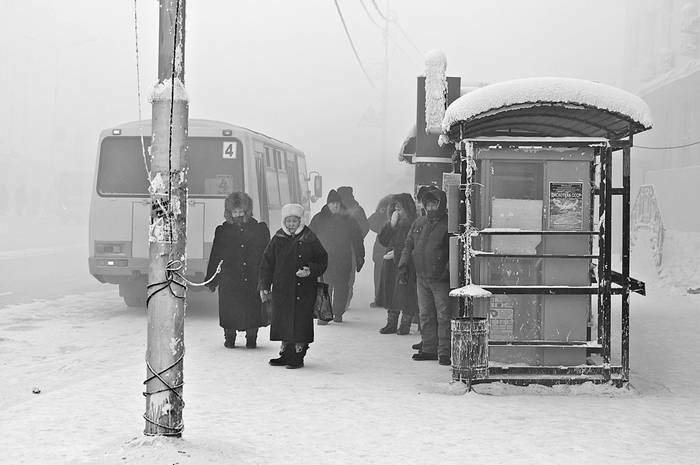 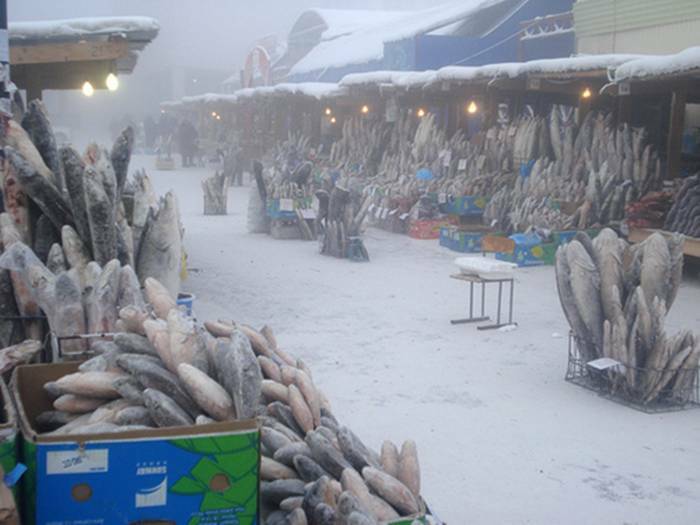 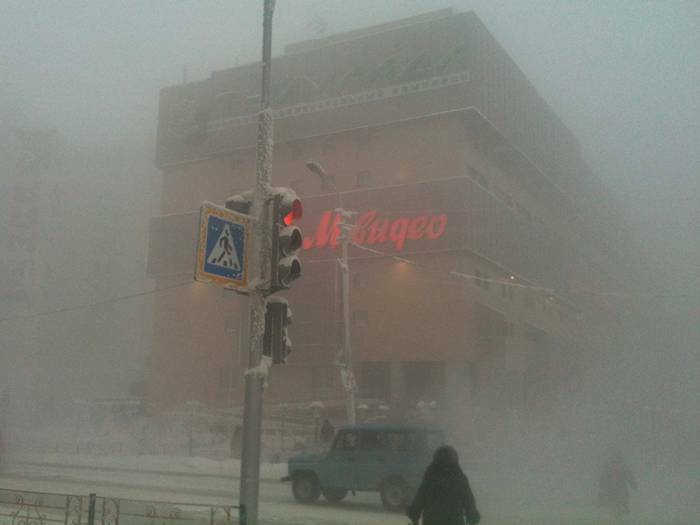 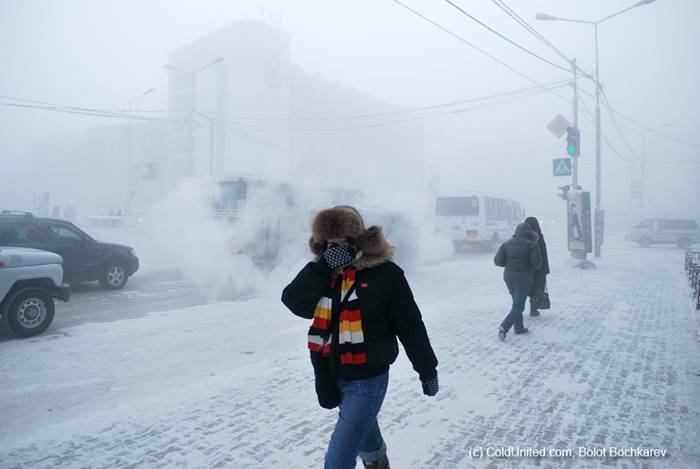 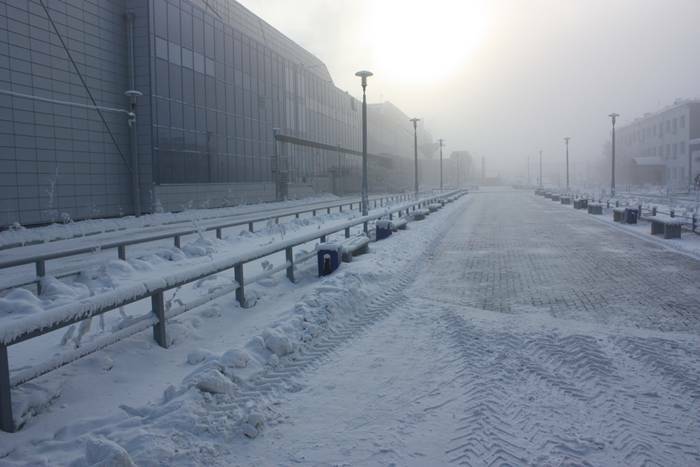 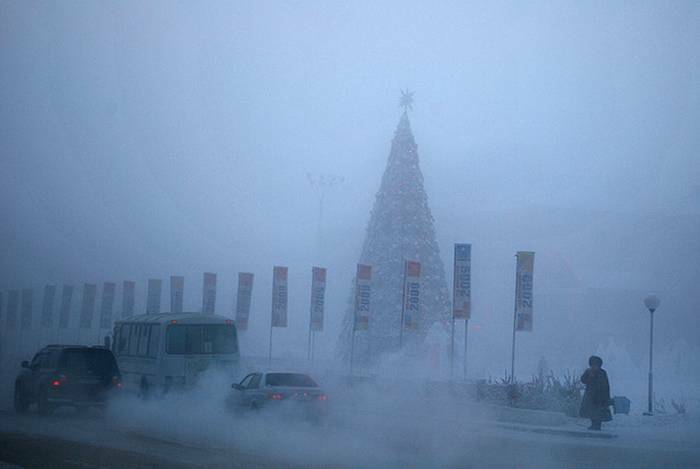 A scene in Yakutsk, Siberia, the coldest city in the world.